How times change. In the nineteenth century, Bagheria, a town just east of Palermo, was still the country retreat of the aristocracy, and a number of Baroque mansions and villas remain. Some have fallen to decay, and the few that are better preserved are not open to the public. An exception is Villa Palagonia, conveniently located in the town proper. Built in 1705 by the Prince of Palagonia, the villa was later expanded and restored. 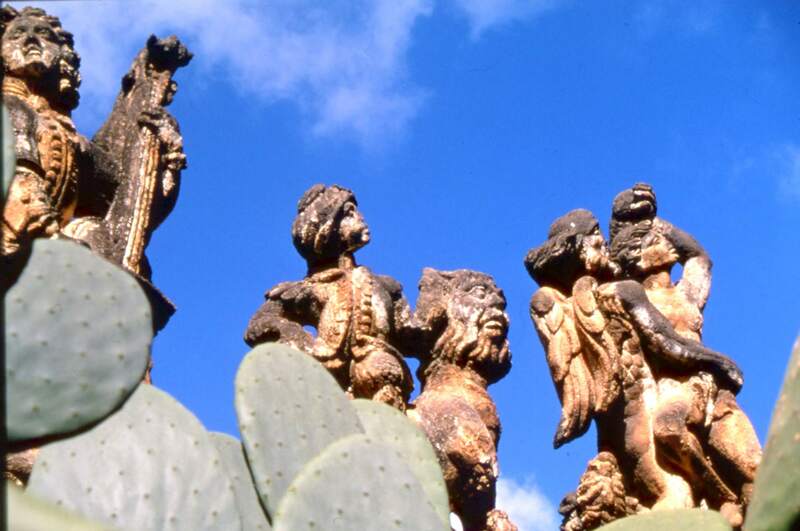 The sixty-two stone sculptures that embellish the villa depict mythological monsters (grotesques) and whimsical creatures. The figures might not be considered particularly exceptional today, in our age of fantasy and science fiction, but for the era of their construction they were a sight to behold.